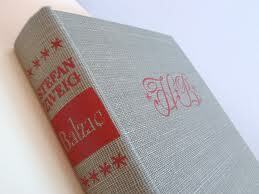 by Stefan Zweig, translated by William & Dorothy Rose. Cassell & Co. London, 1947. pp XIII + 400. This review was written on November 11 2005. 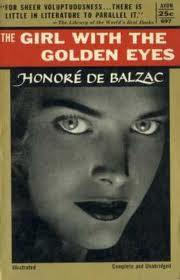 The date of the original biography is not given but clearly Balzac was personally known to the author during his subject’s later years. The English text is unusually florid and stylised for a translation as late as 1947, which may more accurately reflect the French style of the early nineteenth century. 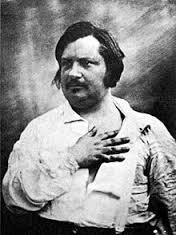 Honoré Balzac (later to adopt the more aristocratic name Honoré de Balzac) was born in 1799 to a relatively prosperous family in Tours. They were regarded at the time of his birth as members of the haute bourgeoisie. His mother’s family was prosperous and part of the lesser aristocracy, while his ambitious father had recently emerged from more modest peasant stock. 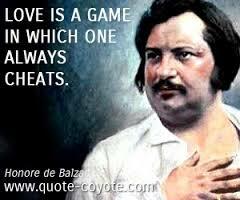 Balzac was perhaps the most famous of the French novelists of the 19th century. He was the first of eleven children. His mother, who outlived him, played an important part in his life. She is described as difficult, mean, spiteful, interfering and showing little sense of love or concern about the welfare of her children, and particularly her eldest boy, although in later years she looked after his chaotic affairs as best she could during his long absences from Paris. He hated her, treated her badly but depended in latter years on her advice, assistance and money. No doubt his bad behaviour was derived from his earlier relations with his mother. After he left the family at the age of 17, he lived as an impoverished recluse in Paris where he wished to become a writer, very much against the wishes of his mother and family. His first twelve or thirteen years away from home were marred by his impatience to make money and thus to achieve his freedom. He started his career as a literary hack, reaching the lowest level of writing in order to earn a few francs. No type of literary production and no commission were beneath his dignity during this time. It was only when he reached the age of thirty that he found his true metier as a great novelist. That was after many misfortunes, mostly self-induced by his ill-judged and unsuccessful attempts to enter the publishing and printing trade, which cost him and his creditors relatively large sums of money. 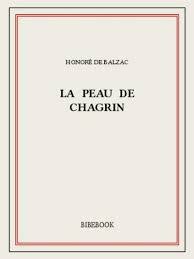 He was immature, untidy in habits and dress, inconsiderate of others, boastful and adulterous, but shortly after his thirtieth year, with the publication of La Peau de Chagrin he became famous overnight and continued to produce novels at an extraordinary rate until the time of his death. Between his novels, short stories, newspapers articles, various literary contributions and other political commentaries, he published at least 70 items in 1830 and 75 in 1831. During his writing periods, he wrote for up to 18 hours every day, remaining totally reclusive except for an hour or two while he visited the market to purchase his beloved coffee or visit his many lovers. He usually started writing at midnight, after a brief meal and a few hours sleep, and could work continuously until the late afternoon without respite. Since I first read an account in Time of Mario Puza’s writing habits (The author of the Godfather), I became interested in writers’ approach to their trade. I emulated Mario Puza’s strict discipline when I wrote Beat Heart Disease in 1974. I had given myself four to six weeks to write the text and to put it in publishing format but I had it finished in my attic in Provence in eleven days. Starting at 8.0 am, I wrote non-stop until lunchtime. Lunch was followed by a siesta and at 5.0 pm I went running among the orchards and vineyards beside the Durance River, a tributary of the Rhone. Ten to 12 kilometres in the balmy heat of that peaceful countryside provided a euphoric sense of relaxation bordering on the sensuous and an opportunity of conceptualising the next day’s writing. Since then I have appreciated the importance of the discipline and organisation which is required to become a professional and prolific writer. Unfortunately, I did not have the inclination to adopt this as a lifetime commitment although the few books I have published were the result of such resolution and of a firm decision to adhere to a time limit. 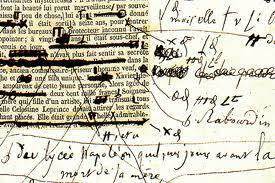 Balzac was an extraordinarily conscientious writer, despite his prolific production. He was addicted to copious quantities of coffee during his work and without this he could neither find inspiration nor the energy to write. His huge coffee intake may have contributed to his early demise. His obsessional insistence on being satisfied with the final text of his novels caused much anger and frustration among his publishers. In those times of tedious handwriting, he needed to spend much of his time correcting proofs and illustrations. The illustrated copies of corrected proofs are difficult to decipher and must have added to the frustrations of his publishers. It was remarkable that he kept all his proofs which he had bound into folios and which he then presented to friends and acquaintances. His production was such that it was described by Zweig as equivalent to about 16 printed pages every day. He is rightly described by Zweig as a genius and as the greatest French novelist of the twentieth century. It appears that his genius was based on an obsessive and compulsive personality, a person who must have had little happiness during his lifetime. He had numerous affairs, both adulterous and otherwise, and was clearly much happier with women rather than men. In fact, apart from one of his sisters and one or two others who helped him in adversity and had faith in his genius, he had few friends among men but he could readily share a few moments of leisure and moments of intimacy with women. I dictated these paragraphs when I had got to page 140 of the book, I had tired of the author’s style, his constant use of metaphor, and of his constant repetition of Balzac’s failings, misfortunes and personality traits. I doubted if I had the patience or time to finish the book which I had taken from my father’s library because of a dearth of other reading, but a visit to Brazil at the end of May and the travel time involved perforce allowed me to finish its 380 rather tedious pages. He had a compelling belief that he could only find peace and happiness by finding and marrying a rich widow. This compulsion was to endure for the latter half of his life, and was to be granted shortly before his death when his health was already in serious decline. His search for the rich widow of his choice lead him into the most ridiculous and humiliating encounters, with the aristocracy in particular, and he understandably became of figure of fun and ridicule among the public. This search for a rich wife caused him to neglect his writing for prolonged periods, particularly during his last remaining years. It particularly emerges in the account of his 18 year affair with Madame de Hanska, the wealthy Ukrainian, how the words liar, mendacious, disingenuous, self-delusion, self-seeking, extravagance and childishness were relevant to his character and behaviour. His death occurred shortly after his last-minute marriage to the reluctant and unsympathetic Madame de Hanska, who had lead him a dance for so long. She showed little compassion for him during his final illness and at the time of his death. Despite his being the greatest novelist of the 19th century in France with his immense contribution to our insight of these times, his story is essentially a sad and unhappy one, largely because of his many personality failings, his immaturity and his appalling judgement in managing his affairs. One might enquire if his novels are of sufficient greatness and insightfulness to maintain popularity 180 years later, and if his writing style (and that of his biographical) has survived the changing taste of modern society. Difficult relations with his colleagues in the literary and media world, the jealousy of his contemporary writers, his boastful, improvident and erratic lifestyle, and his subservient attitude to the aristocracy and the wealthy, were only some reasons why he was denied public honours, such as membership of the Académie Francaise or recognition by the head of state. Most of those who were elected to the Académie during his time have been long forgotten while the name of Honoré de Balzac remains fresh in the minds of his countrymen and of the literary world. The biography includes a short chronological summary of his places of residence during his lifetime and the titles and dates of publication of his best known novels. 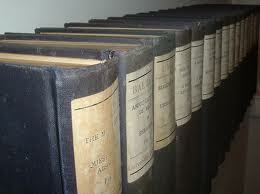 It also includes a short bibliography of biographical sources.